My dear brethren and sisters: We bid you welcome once again to a general conference of The Church of Jesus Christ of Latter-day Saints. These conference sessions are solemn and sacred occasions on which we come together to wait upon the Lord, to seek his Spirit, and to be renewed in our desires to serve him and keep his commandments. It is our prayer that all those who are present, and all those who hear the broadcasts, and all those who read the conference messages will have their hearts open to the great truths which will be presented and the words of wise counsel which will fall from the lips of those who shall speak to us. All of our Church conferences are occasions to teach one another the doctrines of the gospel; to testify of the truth and divinity of those things which have come to us by the opening of the heavens; and to counsel together, and with the Lord, as to the things we should all do to fill the full measure of our creation. We are the servants of the Lord. We have received light and truth and revelation from him. He has commanded us to proclaim his truths and live his laws. And so now, in harmony with his mind and will, and as guided by his Holy Spirit, we give counsel and direction to the Saints and to the world. To the world I say: These are the last days. They are days of trouble and sorrow and desolation. They are days when Satan dwells in the hearts of ungodly men, when iniquity abounds, and when the signs of the times are being shown forth. And there is no cure for the ills of the world except the gospel of the Lord Jesus Christ. Our hope for peace, for temporal and spiritual prosperity, and for an eventual inheritance in the kingdom of God is found only in and through the restored gospel. There is no work that any of us can engage in that is as important as preaching the gospel and building up the Church and kingdom of God on earth. And so we invite all our Father’s children, everywhere, to believe in Christ, to receive him as he is revealed by living prophets, and to join The Church of Jesus Christ of Latter-day Saints. We call upon the world to repent, to worship that God who made them, and to believe the words of those whom he hath sent in this day to proclaim his gospel. To the honest in heart in all nations we say: The Lord loves you. He wants you to receive the full blessings of the gospel. He is now inviting you to believe the Book of Mormon, to accept Joseph Smith as a prophet, and to come into his earthly kingdom and thereby become heirs of eternal life in his heavenly kingdom. To all the families in Israel we say: The family is the most important organization in time or in eternity. Our purpose in life is to create for ourselves eternal family units. There is nothing that will ever come into your family life that is as important as the sealing blessings of the temple and then keeping the covenants made in connection with this order of celestial marriage. To parents in the Church we say: Love each other with all your hearts. Keep the moral law and live the gospel. Bring up your children in light and truth; teach them the saving truths of the gospel; and make your home a heaven on earth, a place where the Spirit of the Lord may dwell and where righteousness may be enthroned in the heart of each member. It is the will of the Lord to strengthen and preserve the family unit. We plead with fathers to take their rightful place as the head of the house. We ask mothers to sustain and support their husbands and to be lights to their children. To the youth of Zion we say: The Lord bless you and keep you, which most assuredly will be so as you learn his laws and live in harmony with them. Be true to every trust. Honor thy father and thy mother. Dwell together in love and conformity. Be modest in your dress. Overcome the world, and do not be led astray by the fashions and practices of those whose interests are centered upon the things of this world. Marry in the temple, and live joyous and righteous lives. Remember the words of Alma: “Wickedness never was happiness.” (Alma 41:10.) Remember also that our hope for the future and the destiny of the Church and the cause of righteousness rest in your hands. To those who are called to positions of trust and responsibility in the Church we say: Preach the gospel in plainness and simplicity as it is found in the standard works of the Church. Testify of the truth of the work and the doctrines revealed anew in our day. Remember the words of the Lord Jesus Christ, who said, “I am among you as he that serveth” (Luke 22:27), and choose to serve with an eye single to the glory of God. Visit the fatherless and the widows in their affliction, and keep yourself unspotted from the sins of the world. Now there is much more that the Lord would have us hear and know and do, and I shall rely upon President Lee and President Tanner, upon the members of the Council of the Twelve and the other General Authorities to counsel further with you by the power of the Spirit about these things. 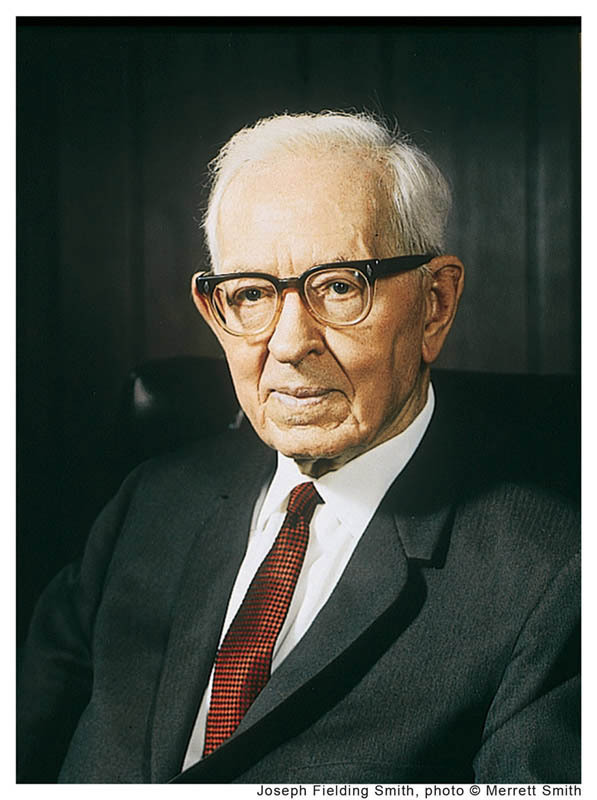 May I conclude by bearing personal testimony of the truth and divinity of the Lord’s work on earth and of the eternal verity of those doctrines he has revealed through Joseph Smith and his associates. I know by the revelations of the Holy Ghost to my soul that God our Heavenly Father lives; that he sent his Only Begotten Son into the world to work out the infinite and eternal atonement; and that he has restored in these last days the fullness of his everlasting gospel. I know and testify that the Lord’s purposes on earth shall prevail. The Church of Jesus Christ of Latter-day Saints is here to stay. The Lord’s work shall triumph. No power on earth can prevent the spread of truth and the preaching of the gospel in every nation. I feel to thank the Lord for his goodness and grace, for all the blessings he has showered upon us so abundantly; and I pray that we may all be worthy to receive the eternal fullness which he offers his saints through the gospel of his Son, and I do this in the name of Jesus Christ. Amen.